The last few weeks we’ve been buzzing about preparing for several showings. 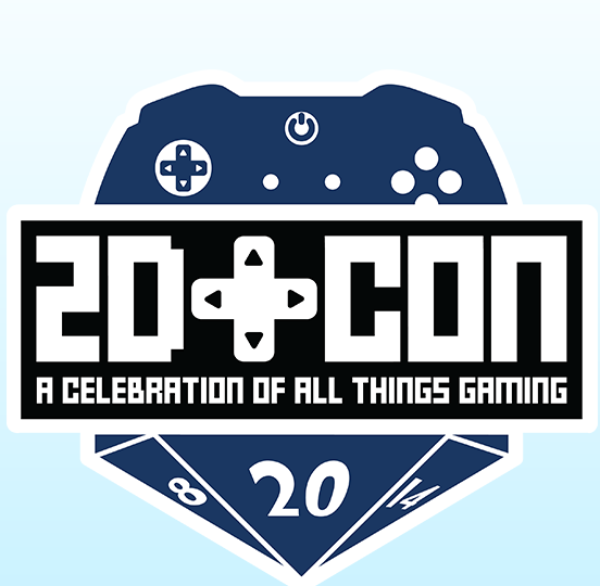 First up is 2D Con from August 11th to 13th at the Doubletree in Minneapolis. We will also be at the Social Science event on August 16th at the Science Museum of Minnesota. We’ve also had some longer playtests that allowed us to test content beyond the tutorial. As your relationships mature, additional options unlock. The journal is used to breakup with someone you’re dating, to ask them to marry you, or to move in together. 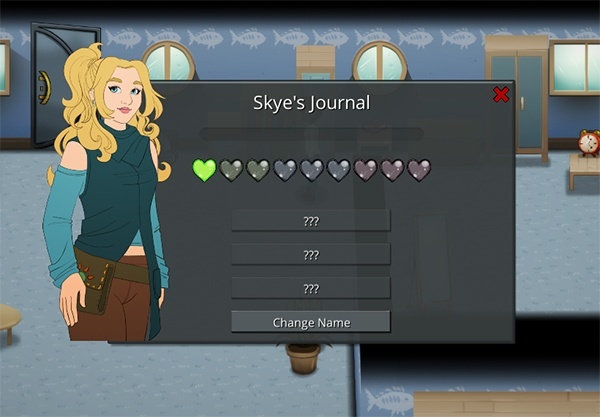 If you’ve broken up with someone, the journal can be used to start your second chance to the relationship. As we’ve been discovering, there are a huge number of possible routes you can take through a relationship. Beth has been diligently working to ensure that all the possible events for relationship changes are covered. 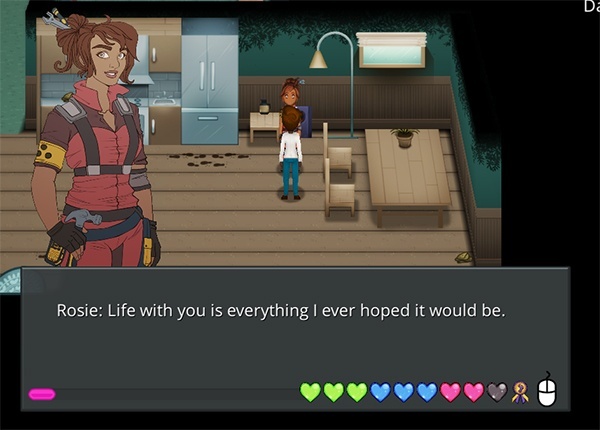 We have finalized a lot of technical details around how relationships will progress. We’ve decided which characters will require exclusivity, which ones don’t, and what exactly that means when it comes time for the player to settle down. 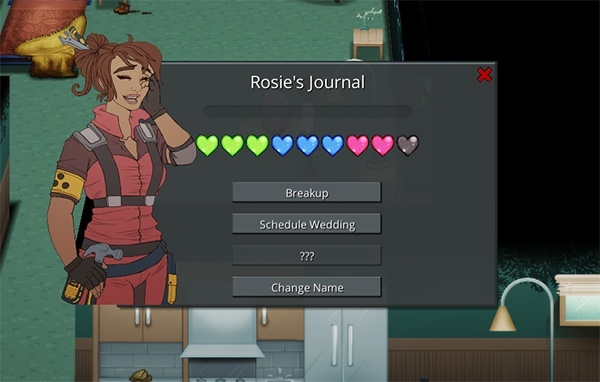 Here the player has had a baby with Rosie, so they have earned a special badge that shows up alongside the relationship hearts. 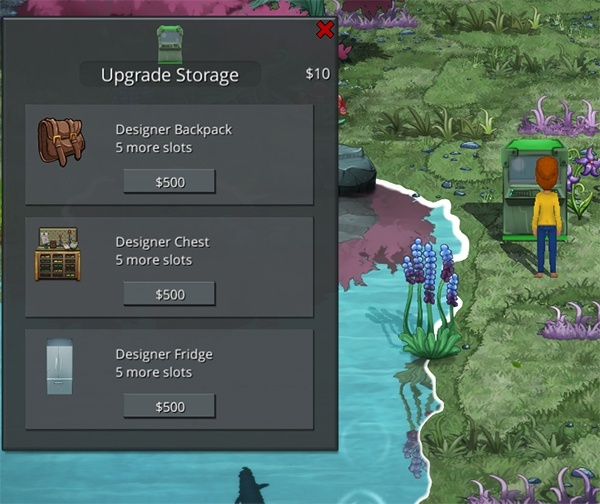 You can track your tool upgrades and special items in the new player’s log. Tools have three different levels. Better axes and hammers use less energy and work faster. The improved hoe allows farming in different areas. The fishing spear throws faster and affects a larger area, making it easier to get multiple fish with one spear. 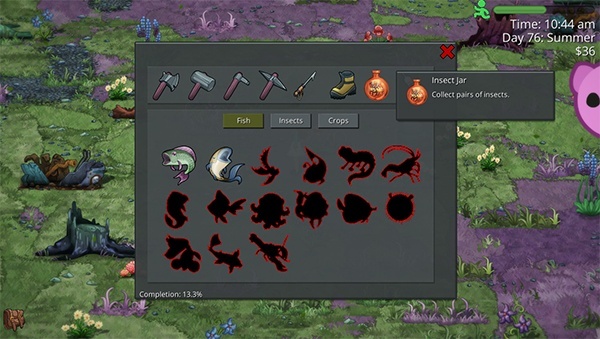 Crops will also be tracked in the player’s log. 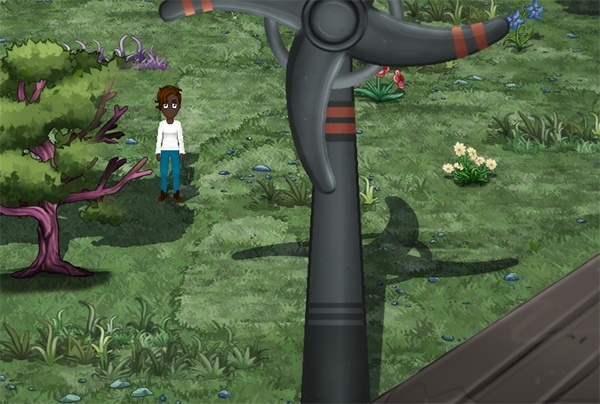 Certain crops can initially only be obtained and grown in specific biomes. 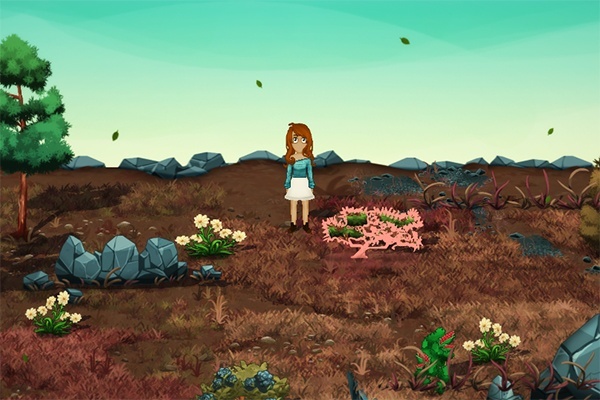 As you progress, you may find the genetic trait that allows you to grow a crop in any biome. The log will also keep track of your progress as you collect fish and insects. Like crops, certain insects and fish are only found in one biome. You’ll have to explore far and wide to make sure you catch them all! Verdant Skies is honored to be included in this year’s Indie Island at 2D Con! Come check us out August 11-13th and be some of our first beta testers!